Need to find the right hydration belt for you? Look no further, we have created a list of the top hydration belts for runners that will keep you well hydrated and balanced. 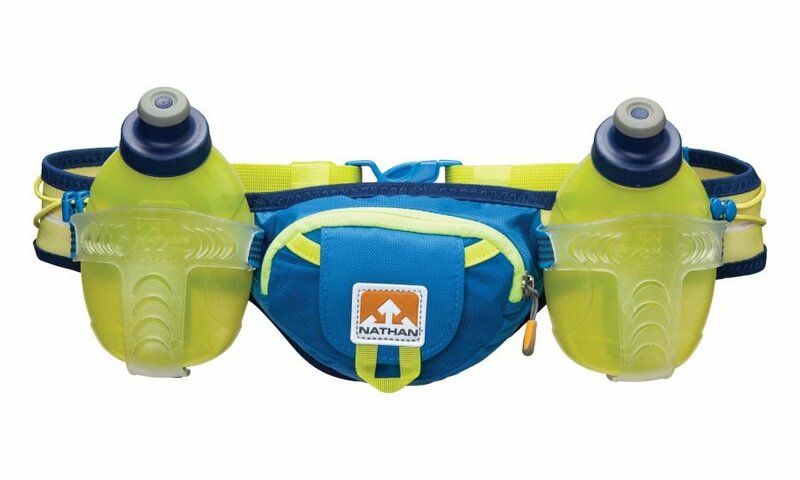 Nathan Trail Mix Hydration Belt provides adjustable stability with a bounce free ride. Two shock chords in place allow for easily added tension for any jackets or gloves. 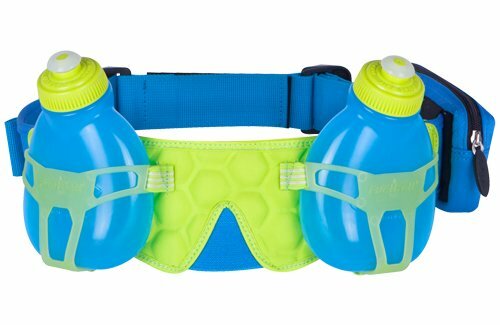 With two 10 ounce bottles and an array of color choices, this hydration belt will have you feeling more confident with every mile. Hold all your essentials in the stretch mesh or zippered pocket for easy access. The stretch material with an easily adjustable strap will give you peace of mind as you run in your greatest race yet. 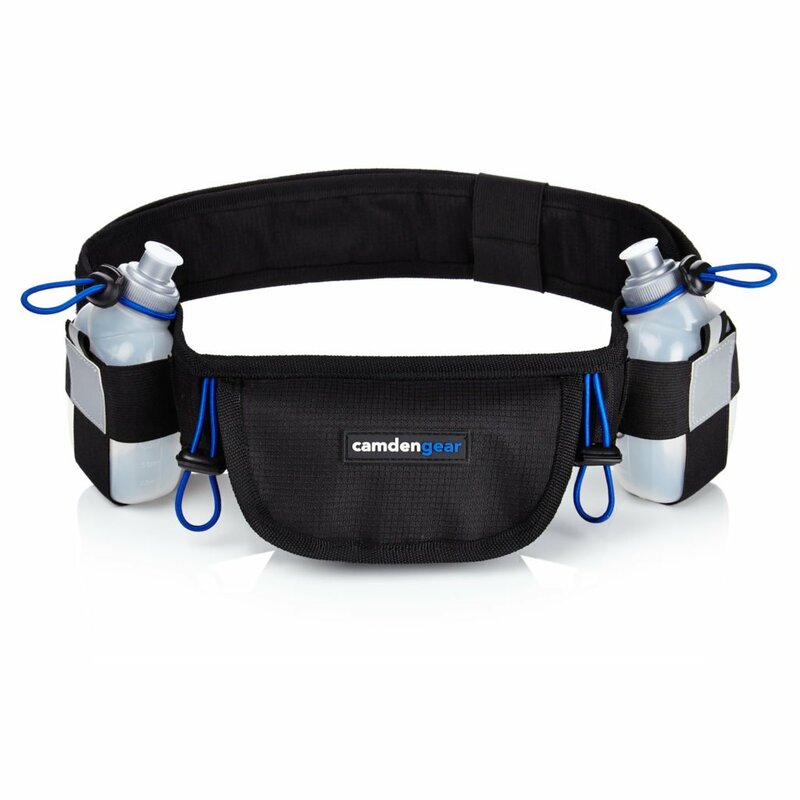 Camden Gear Hydration Running Belt comes complete with the space for optimal hydration during those long runs. The design is created to fit the modern day cell phone, as well enough room for your essentials. Complete with two 6 ounce bottles that nest perfectly on your hip for maximum comfort and 4 straps for attaching anything else you may need. Discover how far you can run with the ultimate running hydration belt. 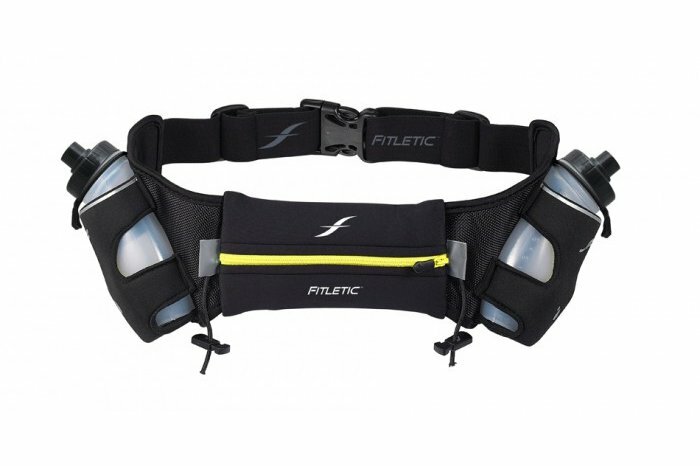 Fitletic 12 oz Hydration Belt gives you all weather access for your runs. With material that is water resistant and reflective, you can run day or night. Two 6 ounce bottles that are BPA free and dish water safe give you the ability to keep your bottles easily clean. Two toggles placed at the bottom hold your race bib in place to give you full access to your water bottles and a pocket that holds your phone and credit cards. Fitletic 12 oz hydration belt will have you finishing strong and well hydrated. 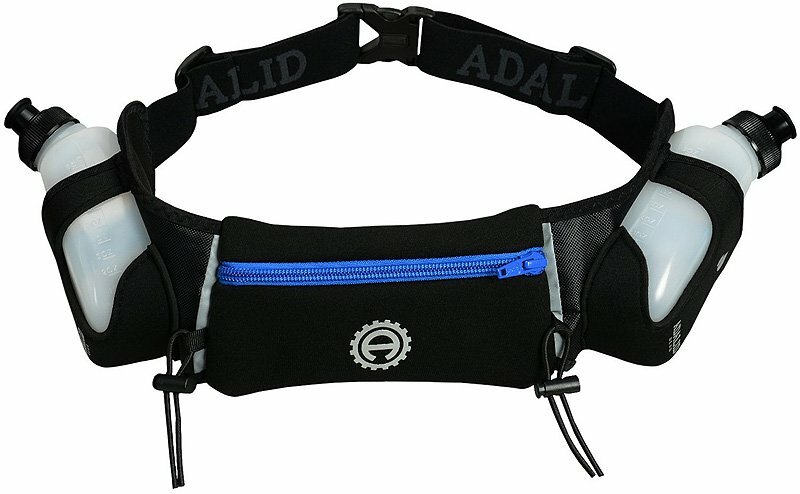 Adalid Gear Hydration Belt provides full motion and visibility with material that reflects and moves with you. Designed with a water, rain, and sweat-resistant material for the pocket, you will be able to store your essentials safely as you run. With a belt size that serves waist sizes of 29” to 40”, this belt will have you breathing easy with limited bounce and easily accessible hydration. Two 10 ounce bottles holstered to your side provide hands free running for you to conquer your greatest race yet. 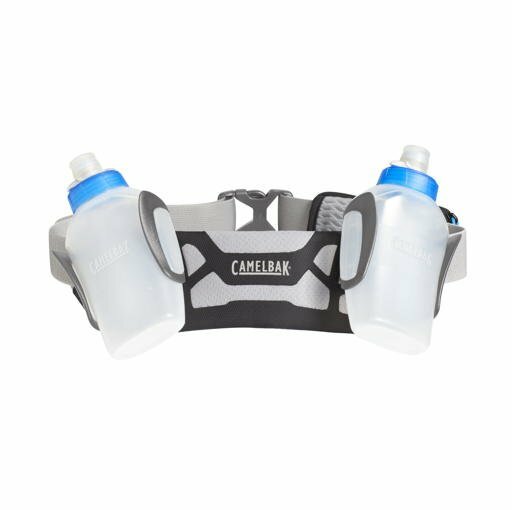 CamelBak Arc 2 Run Hydration Belt is perfect for the minimalist runner. Lightweight technology and two 10 ounce bottles will keep you well hydrated and running with full range of motion. The elastic belt adjusts easily, while the laser-bonded mesh keeps everything together for maximum breathability. Flex and twist the bottles to quickly remove one as you run. The caps seal themselves as you put the bottle back in place, which will keep your water from potentially sloshing on the road. 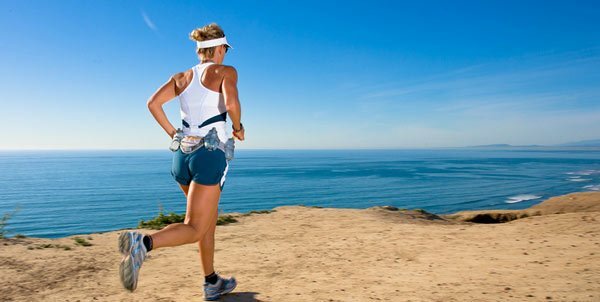 Hold your keys, cards, and phone in the attachable pocket to maintain motion as you run. With your choice of multiple different colors, FuelBelt H2O Helium 2 Bottle Hydration Belt will have you feeling ready to conquer your run. The lightweight material and breathable Helium Hex-Foam padding provides comfort and full mobility. A large removable storage pocket allows for you to grab your essentials and quickly attach them back to your belt. Soft-touch velcro allows for easy adjusting, that will have you running with ease. 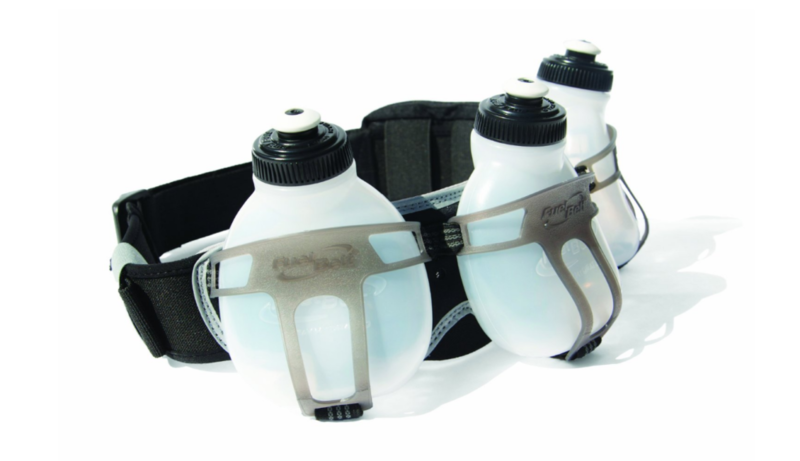 Nathan Speed 2 Bottle Belt is created for you to maintain your speed during any workout or race. With fast grab bottles right at your waist and an adjustable elastic waistband, you have the flexibility you need for full range of motion. Complete with two 10 ounce bottles, and material that is reflective in nature, you will be well on your way to achieving your greatest personal record. 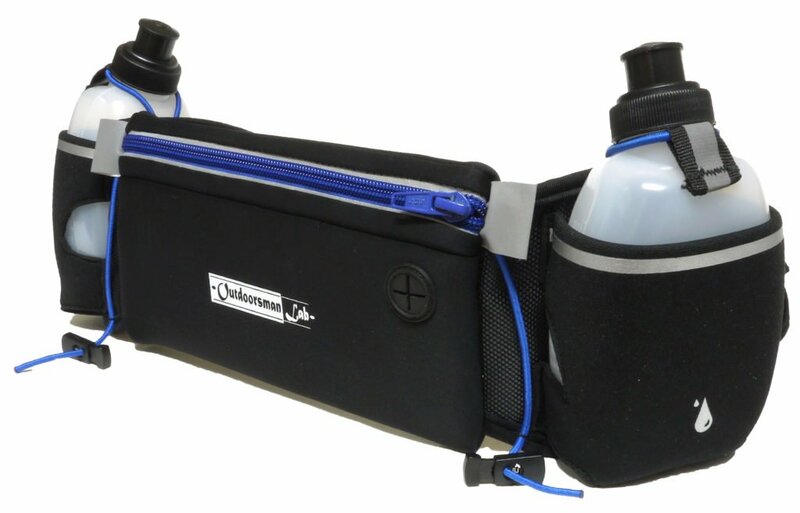 OutdoorsmanLab Hydration Running Belt is for those who need a little more storage. The pocket fits any smartphone and includes an inner pocket for your keys and cards. Lightweight Neoprene and anti-slip inner layers give you security for the belt to stay comfortably on during your run. Stay hydrated with the two 10 ounce bottles that will last even in the long miles. Complete with a headphone port and material with reflectors, you will be running to your music with confidence and safety. 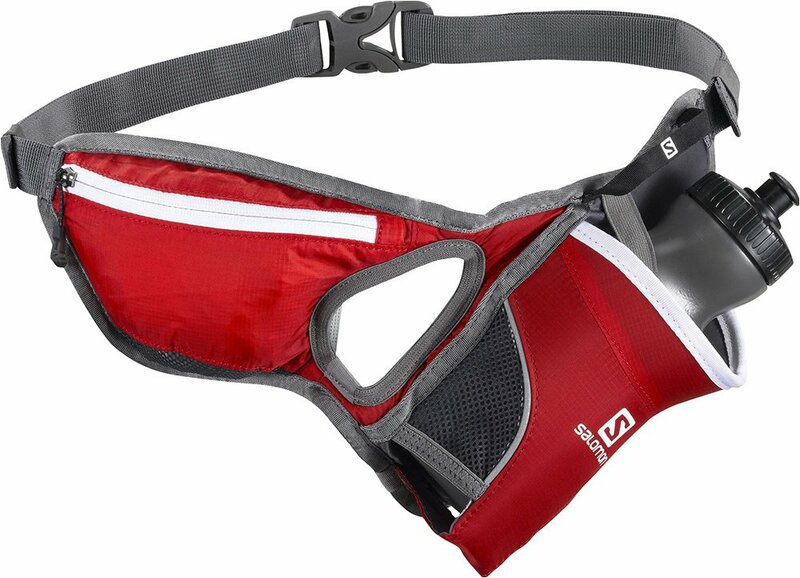 Salomon Hydro 45 Iron Bottle Belt is the latest and greatest from Salomon. Designed to carry only one 20 ounce bottle and a pocket that can carry your phone and a power bar. The 45 degree angle allows for you to grab the bottle easily when running, while the adjustable straps keep the belt snugly in place. Suitable for any terrain or weather extreme. 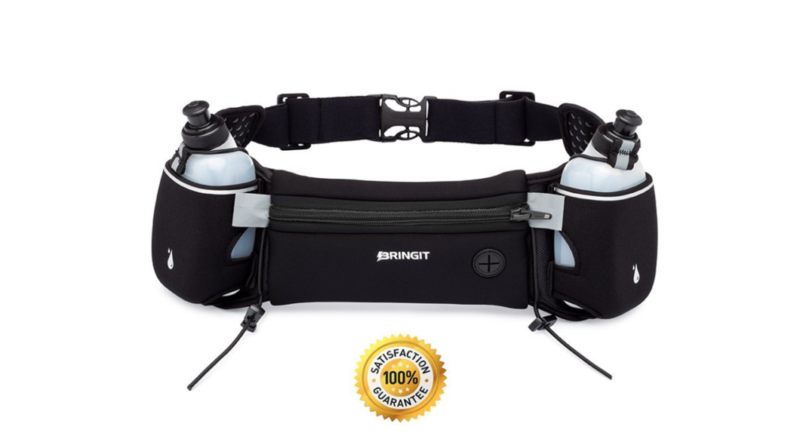 Bringit Running Hydration Belt has a long 7.5” storage pocket for you to pack in everything you need. Two 10 ounce bottles rest comfortably at your side as you start out for a long run. New and improved zipper placement and a headphone hole allows for easy access to your essentials and your tunes. The gel-based interior keeps the belt from bouncing, while the adjustable strap fits waist sizes 25” to 40”, but can stretch up to 47”. Great for those seeking a secure fit with maximum storage. Fit Harmony 365 Hydration Belt holds more water than ever before. Heavier than the usual hydration belt, Fit Harmony 365 has an ergonomic fit that decreases bouncing and adds balance to your run. Complete with two 16 ounce aluminum water bottles that can hook to any backpack when not using the belt. The compartments are spacious for adding essentials, and even a little extra. Great for hiking, running, or even a stroll through the park. 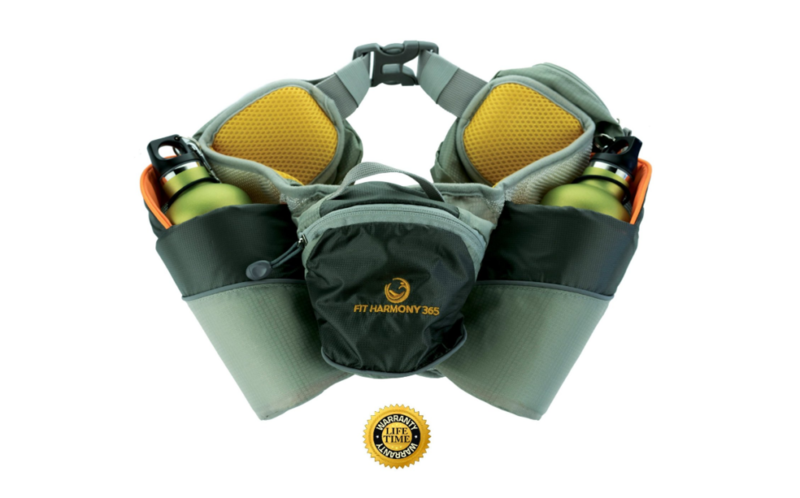 FuelBelt R30 Revenge Hydration Belt is designed for those who need to carry extra water with a little more balance. Three 7 ounce bottles placed along the belt help you stay stable, secure, and well hydrated. The detachable pocket has space for gel, keys, and cards. Breathable thermafoam backing allows for moisture wicking technology that will keep you running at a cooler temperature. Easily grab one of the bottles as you run, so you can finish your fastest time yet. Find the perfect hydration belt that will guide you to your best run yet.